SAN FRANCISCO, March 29, 2019 /PRNewswire/ — Tencent Games unveiled its Common R&D and Operation System (CROS) at this year’s Game Developers Conference in San Francisco. Holding a special keynote at the event for the first time, Tencent Games released insights into how the CROS products support mobile game development, from mobile games creation and operation including automated testing, components, anti-cheating, and eSports network quality optimization. Tencent Games CROS currently supports more than 200 leading mobile games globally with their products including WeTest, G6 (Game R&D Solutions), INO (Intelligent Network Optimization) and Tencent’s security system MTP. More products are in place and actively used by partners such as Epic Games, Bluehole, Miniclip, Supercell and Garena. The key takeaway from the session was how CROS products helped reduce costs and increased productivity with less time and manpower required to perform traditional tasks such as optimization and testing. The session was met with positive reactions from the audience. The Keynote focused on how CROS implementation helps in four key aspects from testing and ongoing optimization to anti-cheating and network optimization that allows for top quality eSports gaming. WeTest tested TOP 500 phone models, covering more than 90% of game users reducing time needed for wide testing. WeTest provided SR penetration testing which significantly decreased the vulnerability risks before the game launched. MTP protects PUBG Mobile’s security environment and won the recognition of players. 7X24 lag-free, as smooth as consoles, with the help of G6 Tcaplus reducing 90% of testing time and human labor needed for optimization. Globalized deployment within one-click of the mobile terminal to support users’ cross-continental distribution and game competition, allowing games to reduce the average tournament latency by 90%; internet stabilization usability reached 99.9%, which meets the requirements of mobile eSports. Clear vocal and audio quality provided by GVoice helps players achieve better game results. PUBG Mobile global connection ratio is over 99.8% and crash ratio below 5 out of 100 thousand. 7X24 disfluency-free, as smooth as consoles, with the help of G6 Tcaplus. Quickly responds to rapid online player growth from events. Keeps fluent and strong synchronization of game screens and movements among players. Supports instant game play and version updates, meeting higher quality demands from users. Tencent Games’ CROS is set to continue its technology research and development to provide developers with the latest innovative gaming development technologies and solutions. With 5G and the expansion into cloud gaming, the services that CROS provides and continues to develop will help craft the future of mobile games development for the foreseeable future. 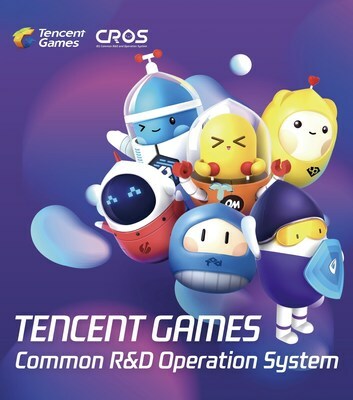 With the continuous development and expansion of Tencent Games’ businesses, the CROS system is a one-stop support system for game development and operation. Tencent Games CROS combines R&D with seamless integrated solutions that has resulted in high quality development tools including WeTest and MTP. from R&D Efficiency, Quality Assurance, Technological Operation, Game Security and more, Tencent Games CROS provides multiple one key services to gaming developers all over the globe, helping them overcome issues such as testing, security, voice chat and network optimization. The CROS system supports more than 200 top-quality games including PUBG Mobile and Arena of Valor and is committed to being a leader in digital entertainment technology.